Article first published as Book Review: ‘The Deja Vu Experiment’ by J. G. Renato on Blogcritics. 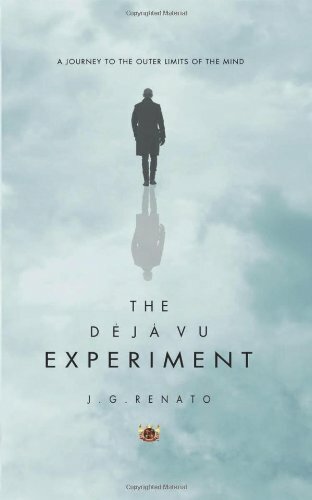 In “The Deja Vu Experiment” author J. G. Renato brilliantly blends Greek Mythology, contemporary physics, science, and fiction through the eyes of interpretive literature, with parallels of Einstein’s pursuit within physics, and Monet’s and Seurat’s in the world of art. He draws heavily from the writings of Lewis Carroll’s “Alice in Wonderland,” and from the characters John Galt and Diana from Ayn Rand’s “Atlas Shrugged” to draw the reader into this fictional yet inspirational title. Ultimately, the purpose of this book is for readers to gain insight of our purpose and our realities from the author’s perspective, taking a deeper look into the possibilities of different components that make us spiritual humans. Events are discussed through a spectrum created by art, theology, and science. Renato proposes that we have to ask the question “What are we?” in order to understand who we are, to understand what we become, and to see what is beyond. He challenges the reader to consider those gaps in time when we suddenly find ourselves waking up from an awareness of having checked out of reality into a state of being on “auto-pilot,” a kind of veiled reality versus accepted reality. I thought of these gaps as a daytime equivalent to the drowsiness of sleep which moves the conscious mind into that nebulous world of dreams – which my wife describes as “the land with the feather ball.” I was particularly interested in his discussion “freewill” and the “deterministic universe” in light of both religion and science. I highly recommend “The Deja Vu Experiment” by J.G. Renato. Whether as a reader you are a natural technician, a producer, physicist, philosopher, or cleric; Renato’s writing necessitates an intellectual honesty, personal integrity, reflection, introspection, and an intuitive curiosity about the world. He uses metaphors, anomalies, and illusions, as well as commentary of philosophy, metaphysics, and ethics. He is passionate about his logic and his conclusions. This entry was posted in Books, Non-Fiction, Religion & Science, Science & Math and tagged Book Review, The Deja Vu Experiment. Bookmark the permalink.